I have been beauty-obsessed since I was a tween. I remember the very first “Beauty Box” I sent away for–it was from Cover Girl, and I could not have loved the tiny cardboard compact more. 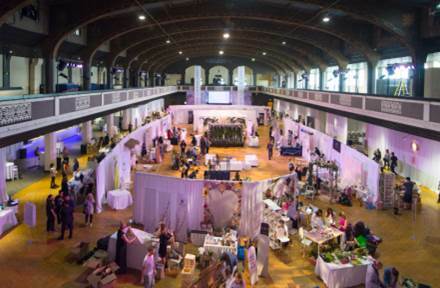 Photo courtesy of Indie Beauty Expo. 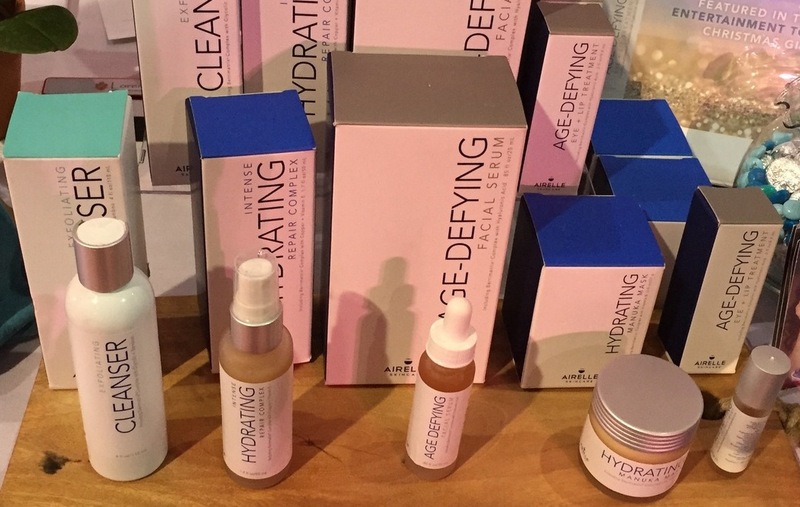 So, when one of my new favorite skin care lines, Airelle, invited me to this wonderful event last week, to meet so many independent beauty brands, I was thrilled. Since my #1 Contributing Writer, Alice, is also a freelance make-up artist, she was happy to accompany me to the Shrine Expo Hall for the fabulous, and educational, Indie Beauty Expo (aka IBE.) It’s amazing to see just what goes into being beautiful these days! 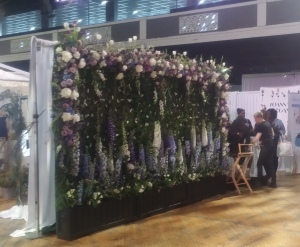 The centerpiece floral wall. Photo by Alice Farinas. As we visited the booths, I was impressed by how great everyone looked! All the faces of the brands were excellent representatives of beauty. I would trust any of them to advise me on what to do with my skin and make-up, etc. And they were ultra-pleasant, as well, which made the event even better. 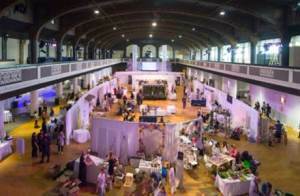 The center “conversation area.” Photo by Alice Farinas. I also appreciated that these were all indie brands. Actually, I believe that this IBE had the largest collection of them to be found in one place! And the selections were diverse. There was something for everyone. 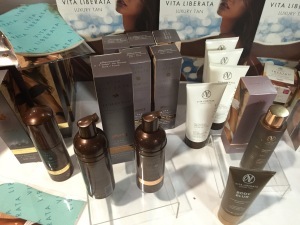 Most of the companies were skin care or make-up ones, but there were also specialty brands in the categories of lifestyle and wellness. We found so many products that we had, ashamedly, never been aware of before, as well as a couple we were already fans of. We were pleased to see so many “green” ones, and vegan options, as well. There were also some great gift ideas, like candles and relaxing balms. Airelle. Photo by Karen Salkin. 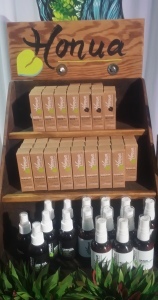 Airelle–This skin care line, that can be procured only in dermatologists’ offices and on-line, showed me just how to use their entire line in conjunction with each other, for maximum effect. I’ve been using their eye and lip serum every day for about a month, but now I’ll add in the serum, that they told me you can also use as a primer! Who knew?! FootMate. Photo by Karen Salkin. 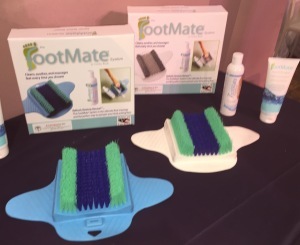 The Footmate System–I was excited to find something so different and fun at the Expo. As a former barefoot girl, whose heels are paying the price now, my jaw dropped when I happened upon this foot softener brush that suctions on to the shower floor. So you can wash your feet easily, and then use their special cream to finish them right. And I just found-out that it’s made by not a cosmetic company, but one whose specialty is brushes! Every kind, including industrial. So, they totally know how to make a product that’s effective…and lasts! Honua. Photo by Alice Farinas. Pristine Beauty—We went right over to this company’s table because their pink and black display was so inviting. 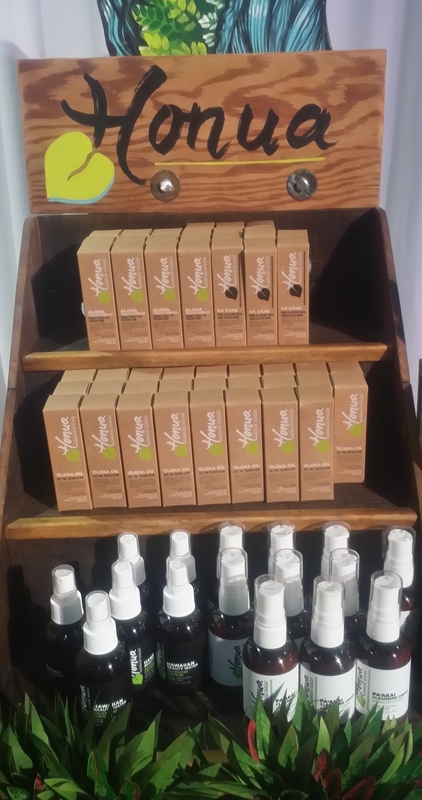 Discovering that all their products are 100% natural was the icing on the cake. And their little gift bags, full of samples of all their products, were just what girly-girls’ mouths water for! Vita Liberata. Photo by Karen Salkin. I plan to let you know about some of the others in my upcoming Beauty columns, and even more in my Holiday Gift Guides, so please always keep an eye out for those. 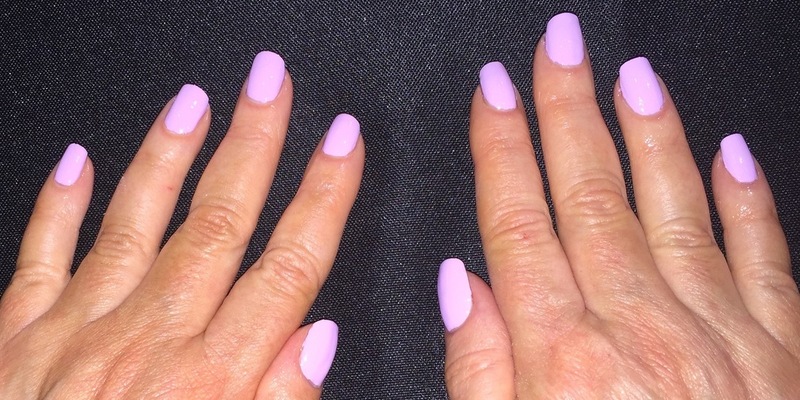 Karen Salkin’s new manicure, rocking LVX’s polish in “Fleur.” Photo by Alice Farinas. LVX Nail Polishes–Stephanie did the manicure honors for everyone, using this company’s vegan polishes in what Alice deemed “the most fabulous color palette!” I loved that we could try them out on a blank plastic wheel that we polished ourselves, so we could see the true shades. We both loved our choices. The BrowGal–Brian Hideo shaped mine, using wax, tweezers, and even trimming them a bit. (Boy, did I need that!) Shayan did Alice’s, and we both were so pleased with the results. As a matter of fact, when I got home, I was rocking fabulously sparkly lips that I had just had so adorned, but Mr. X noticed only my brows! Some of the speakers. Photo by Karen Salkin. On top of all those activities, there was a stage at one end, with ongoing presentations which featured demos and Q-and-As from informative speakers. Who ever knew there was so much to learn in the world of beauty?! 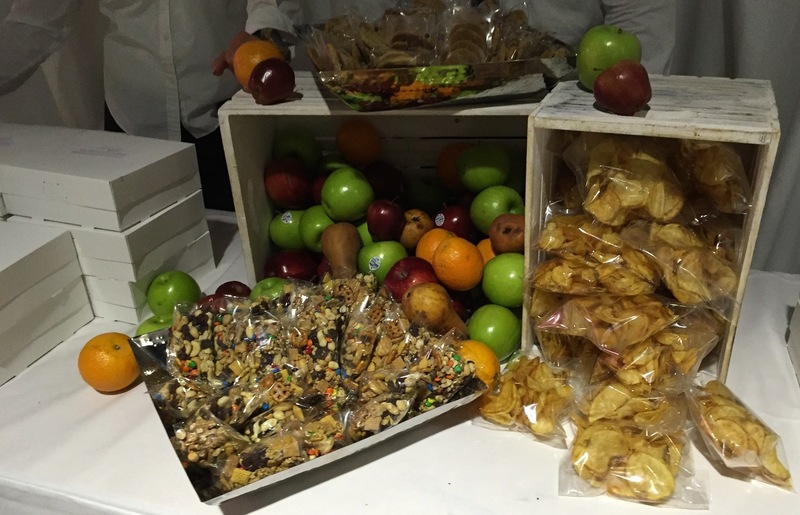 Some of the snacks. Photo by Karen Salkin. Actually, the whole event was in that “extra step” category! I was thrilled to be included. And, the next time you see me, I hope you notice how much better I look, in general, after I use so many of my discoveries from the IBE.